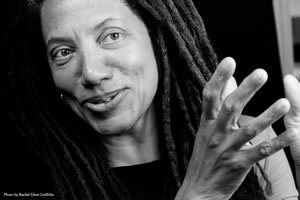 With the Nonfiction Prize now closed, we are thrilled to officially announce that the 2012 Wabash Prize for Poetry will be judged by Nikky Finney. The winner will receive $1,000 and publication. In addition to the 2011 National Book Award-winning collection Head Off & Split, she is the author of three other books of poetry–The World is Round, Rice, and On Wings Made of Gauze–as well as Heartwood, a collection of four interrelated stories. The deadline for the Prize is November 1. For more information and to submit, visit our contests page. Congrats to Claire Vaye Watkins!